Fluid processing professionals turn to Phantom Pumps when they need cost-effective, engine driven pumps. With a vast inventory of exceptional, interchangeable, ANSI pump models in our Centrifugal Pump Line and compatible replacement parts for a wide variety of processing equipment, you are sure to find products that meet nearly any processing facility requirement. 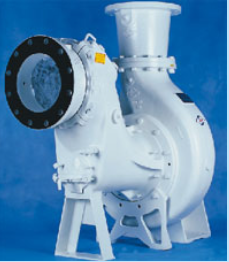 Phantom Pumps is a manufacturer that is renowned throughout the industry for producing low-cost alternatives to pumps manufactured by ESCO Pumps, Warman, Gorman-Rupp and other well respected manufacturers. Professionals who need to replace worn out or broken high-priced equipment that is currently in use at their facilities can quickly and easily substitute PL and PH Series pumps from Phantom Pumps. Our pumps are exceptional replacements for ESCO Pumps, All Prime Pumps, Gorman Rump and other world renowned manufactures’ pump models. Facilities currently using our non-clog pump, trash pump, sewage pump, DPumps and other pump models report reduced pump-related costs. They also report reduced maintenance costs when keeping compatible replacement parts on hand for equipment repair and maintenance. Better still, our pumps are built to perform at the same or better level than higher priced models. Many processors also report higher productivity when using our equipment. Contact a pump specialist at Phantom Pumps today to request more information or product assistance. Our team of engineers can help you select the engine driven pumps, non-clog pump models and other equipment in our lines that best match the processing requirements at your facilities in Florida, Alabama, Georgia, Ohio, South Carolina and other states throughout the US.